A.W. 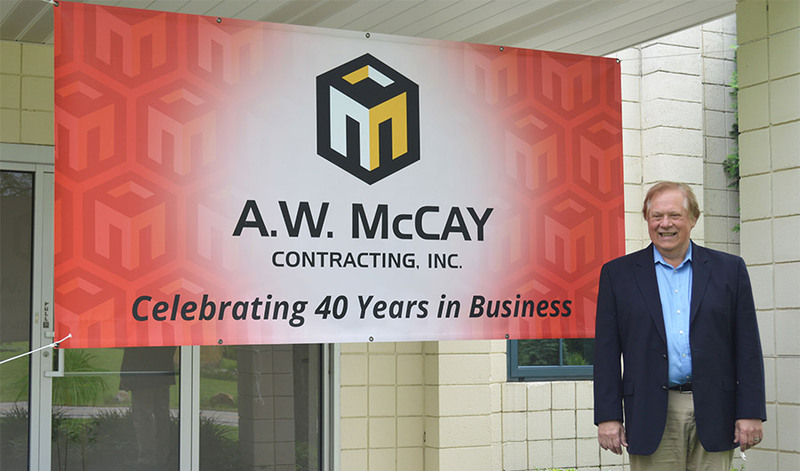 McCay Contracting Inc. is a locally owned and operated commercial construction firm that has been serving the Pittsburgh area for over 40 years. President / CEO, Gus McCay founded our company on Godly Principles with a desire to honor God, first and foremost and as such you will find us to be well respected, trustworthy and dependable. Our Project Management Team consists of passionate and knowledgeable professionals with over 100 years in combined experience in the construction industry. We value the relationships that we build with our clients and are dedicated to ensuring your satisfaction. As you look through our portfolio and testimonials, you will see that many of our projects come from repeat business and referrals from satisfied customers. Our project managers, estimators and superintendents use best in class technology such as ProCore Project Management Software to more effectively manage your project from concept to completion. Our reputation for excellence and reliability makes A.W. McCay Contracting, Inc. the perfect choice for your next project.